During this year’s promotion you can earn bonus points on ALL Schwan’s K12 products, then easily redeem them for rewards like school equipment, SNA travel and more. Ready to make your program bigger and better than ever? Submit your claim and redeem rewards. Share your rewards with staff and students. To qualify, you must purchase at least 20 cases of qualifying Schwan’s Food Service products between July 1, 2018 – October 31, 2018. Maximum payout of 1,250 points. 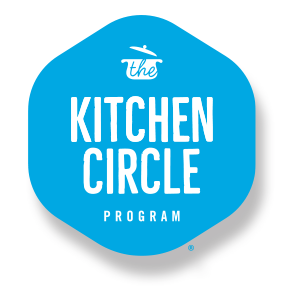 Promotion request must be submitted through The Kitchen Circle™ claims and must be accompanied by distributor invoice(s) or distributor recap(s) that include distributor name, operator name and invoice number, manufacturer item number and description, number of cases ordered and date purchased. Valid on case purchases from 7/1/18 through 10/31/18. Request must be postmarked no later than 11/30/18. K-12 operator promotion only. Limit one promotion submission per K-12 school district address/location. Rewards or points will be sent to operator only. All information must be complete to be processed. Void where prohibited. Rebate good only in USA. Rewards offer good while supplies last. Schwan’s Food Service reserves the right to terminate or modify this program at any time. Fill out the form below to enroll in the Make Their Day Promotion.